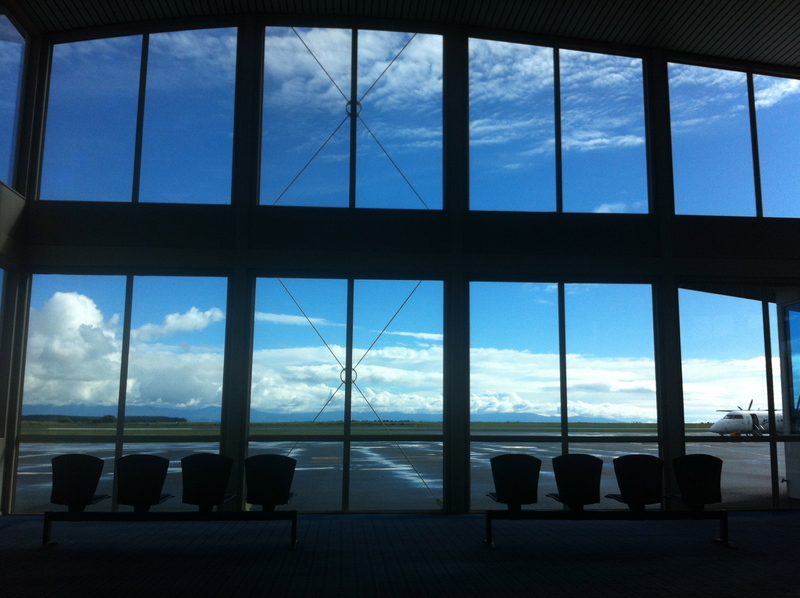 The Origin Pacific passenger terminal at Nelson airport. Origin Pacific was an airline owned by one of the local influentials that had been struggling since it started competing against Air Nelson, the legacy airline serving Nelson. It had a stay of execution in 2006 under the condition that revenues for future travel were placed in a trust fund. When it went bankrupt (owing $21m) in August 2006, there should have been $112,000 in the trust account. They found $91, a button and some pocket lint……. 25 Aug	This entry was published on 25 August, 2012 at 13:00. It’s filed under (Not) the Nelson Daily Photo, Commerce and tagged nelson, Origin Pacific. Bookmark the permalink. Follow any comments here with the RSS feed for this post.